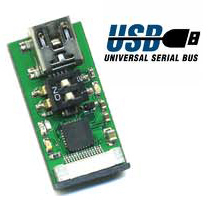 The ProgSkeet JTAG Injectus USB Programmer from the Infectus Team is the most advanced programmer for every ProgSkeet NAND / NOR / EEPROM USB Programmer or the ARGON and INFECTUS ModChip. It supports USB 2.0 and with the high professional programmer software can you easy reflash your ProgSkeet V1.0 and V1.1 or the ARGON chip. The ProgSkeet JTAG Injectus USB Programmer is the perfect complement for every ProgSkeet Developer! I bought a cr4, jrprogv2, and many qsbs from this site. its a VERY reliable site and deserves to be in handle of this 5 star rating great work ModChipCentral! !